Ellia and her New Surfboard! 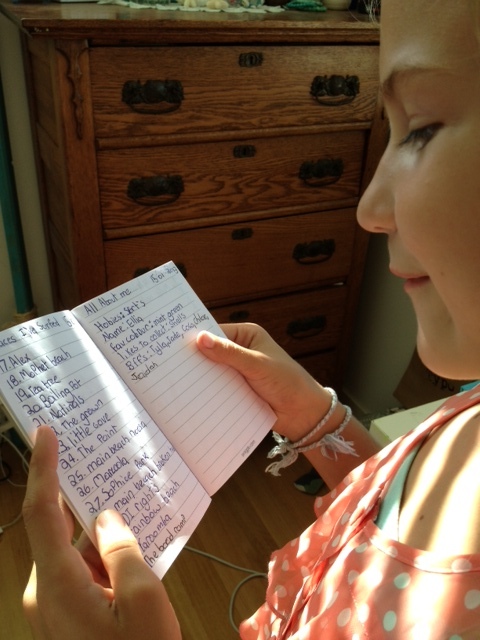 This is my friend Ellia….she is an absolute legend. She lives next door to us in here in Australia and is a fantastic little surfer. She also shreds on her skateboard in her bikini, has a skate ramp in her garden and has a 6 pack to die for! She may be small but she sure is strong. 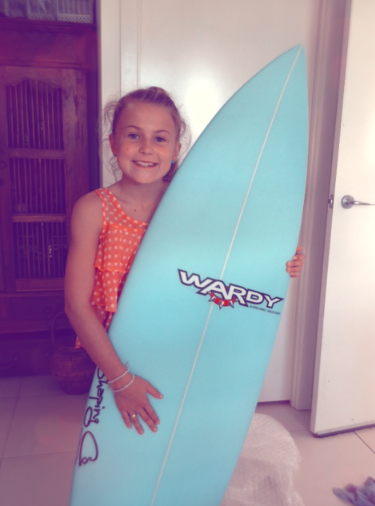 Today the post man arrived with a big surprise…..her first custom surfboard! Her talent out in the water was spotted by the shapers at Wardy Surfboards and a few weeks ago she whizzed down to the Gold Coast to order her first ever custom board. Choosing the size, and most importantly the colour she has been waiting very patiently for her board to be shaped, sprayed, glassed and sanded to her specifications. A big collection of trophies, certificates and medals in Ellias bedroom. Ellia’s collection of medals, certificates and trophies is impressive! 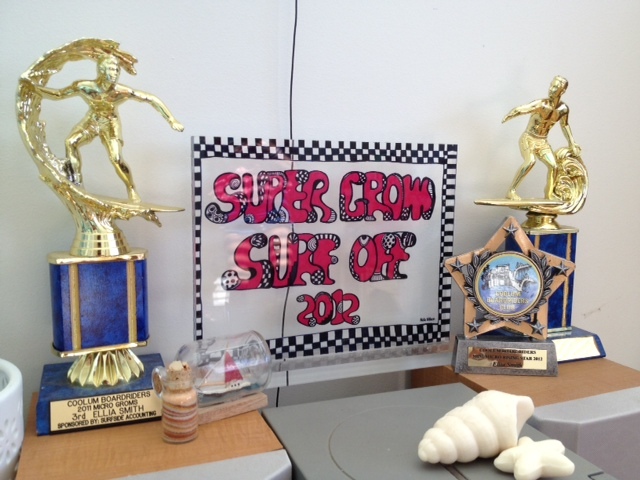 She’s a standout surfer at her local Boardriders Club – regularly showing the boys how its done! Most importantly she works hard at school, does all her homework and gets great grades. She also excels at her school sports events with lots of medals for running! 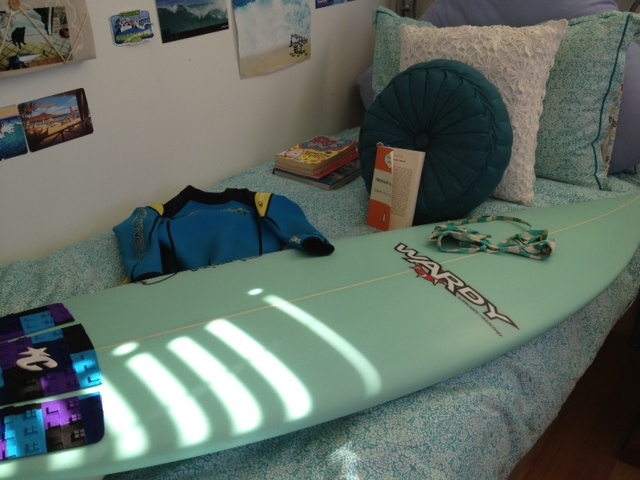 Her board arrived just in time for the weekend. The waves are forecast to be perfect for her to get in the water to try it out for the first time….and maybe even surf it in the Coolum Beach Boardriders Surf Competition this weekend. Keep an eye on this little grom as I have a funny feeling that she may be the next Steph Gilmore?! ← Practice Time…Thank goodness the weekend is over!